1. Install the base. There are three ways to correctly install this product: 3M adhesive (for smooth surfaces), built-in magnetic strips (attach to metal objects) and screws (for wooden appliances). 2. Slot the light tube into the groove at the base (the light tube can be rotated freely). 3. Touch the sensor pad to turn on / off the light; Press and hold down on the sensor pad to adjust the brightness. 4. Time-delay feature: When turning the light off, there will be a two-second time delay. Please Note: This product doesn't include an adapter, please use phone charger adapters to link to power sockets or power banks to charge. 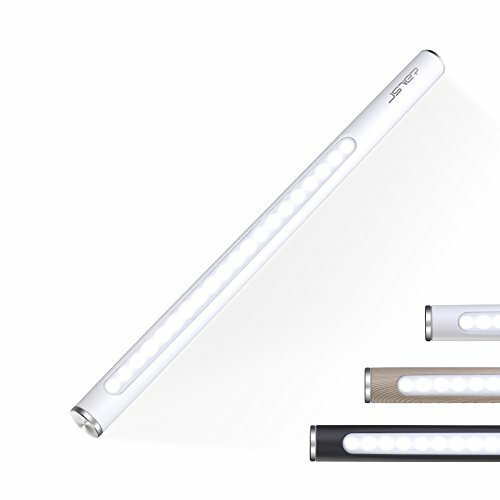 Can be placed anywhere: Suitable for just about any location such as dorm rooms, at home, at the office or even outside in the garden; can be used as a closet light, a bedside night-light, a reading light, a display or TV back light, a camping light etc. If you have any questions about this product by JSVER, contact us by completing and submitting the form below. If you are looking for a specif part number, please include it with your message.